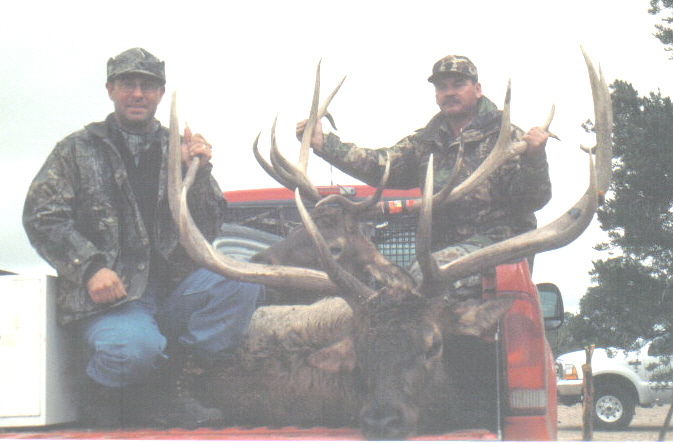 Harold and Kevin show off their good elk. 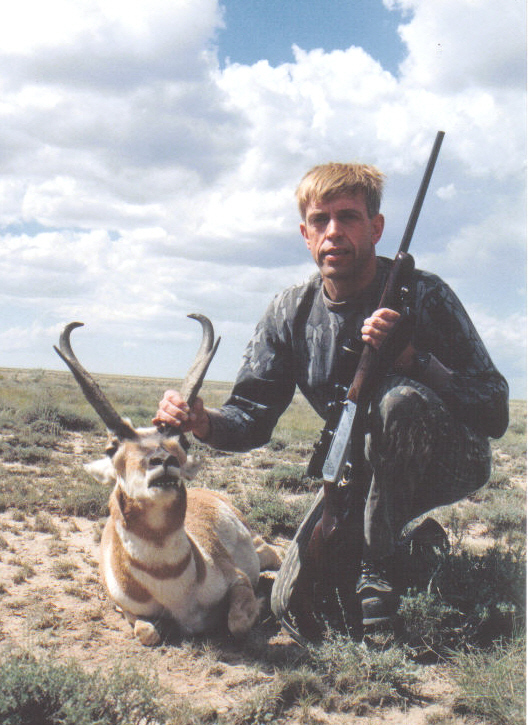 Joe shows off his Boone and Crockett antelope. 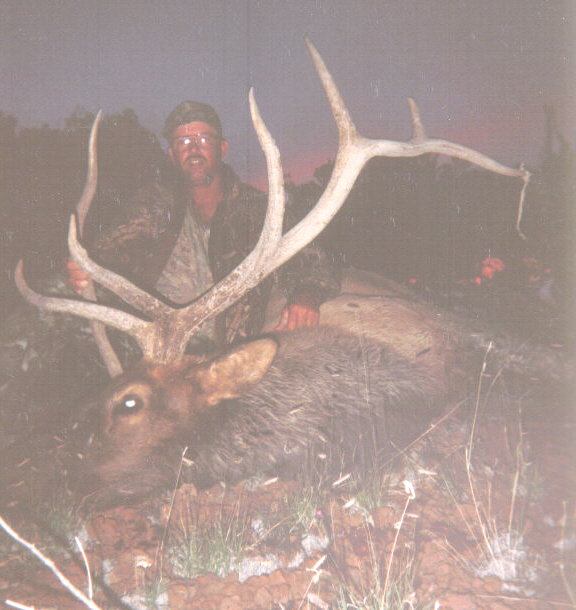 Art of LA was happy with this nice 5 X 6 bull. 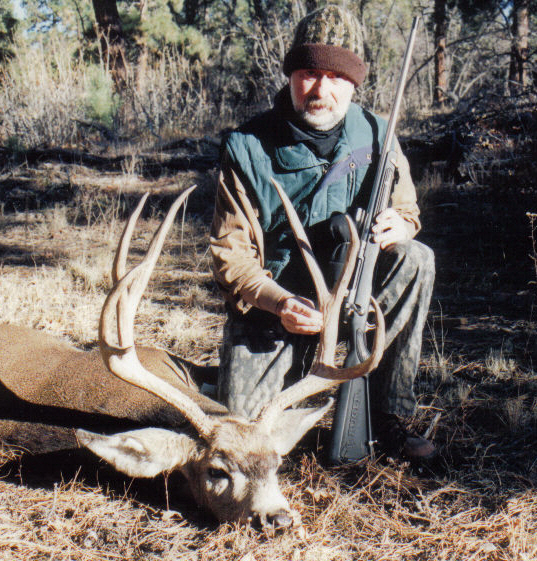 Ed of NH is happy with his SCI buck. 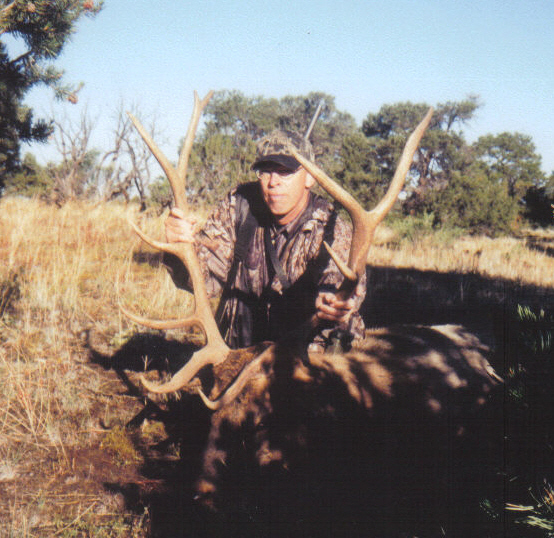 Frank of OK downed this good muley easily! 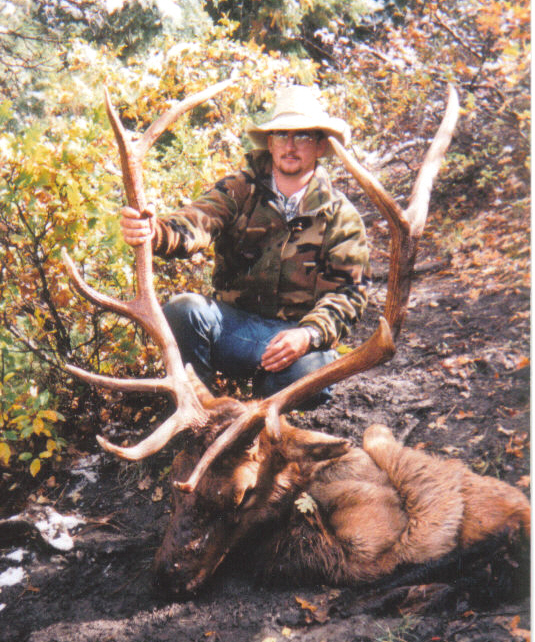 Guide Jessie Ray admires this good bull. 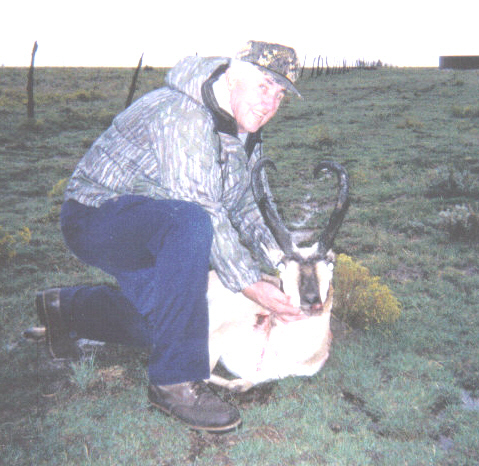 Ray of FL took this nice muley home. 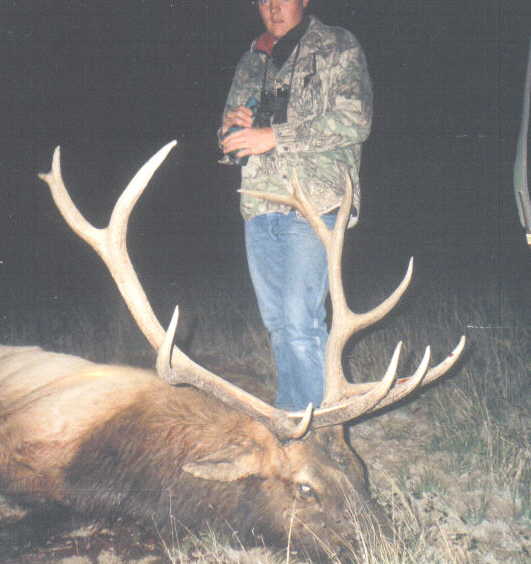 Scott of MO killed this elk in the perfect spot for photos! 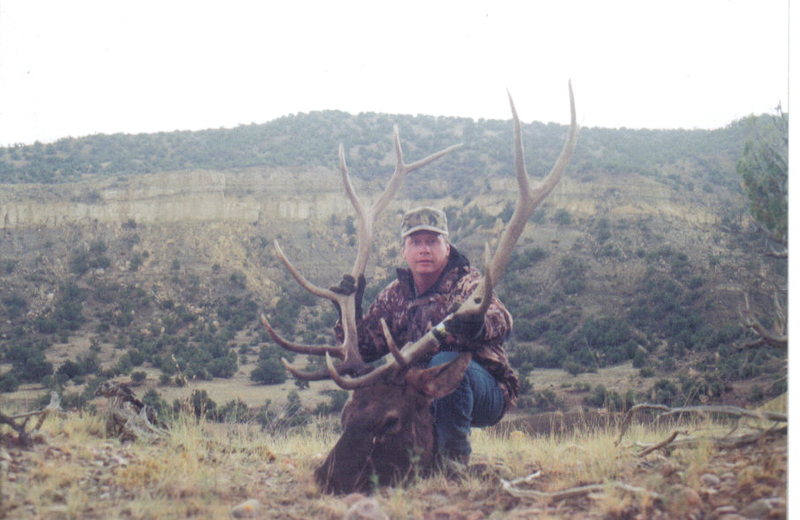 Mark Palmatary guided his hunter to this good bull. We thank you for taking the time to look at our website and we hope you have enjoyed it. Please check back as we will continue to add photos. Please feel free to e-mail or call us with questions or comments. 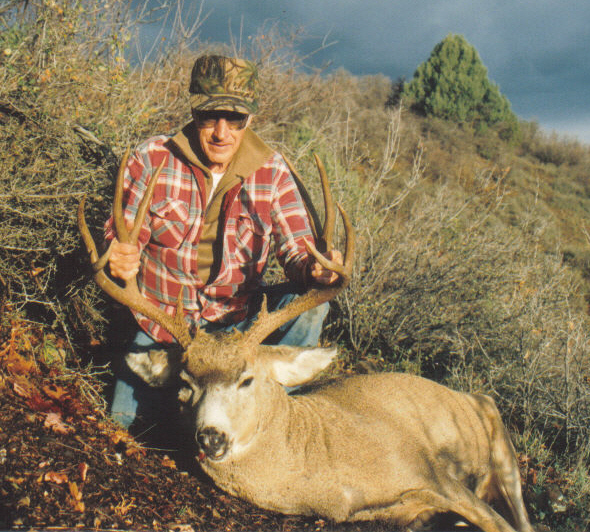 Let us take you on the hunt of your dreams!